A lot of human scientific and technological progress over the span of recorded history has been related to discerning patterns. People noticed that the Sun and Moon both had regular periodicity to their movements, leading to models that ultimately changed our view of our place in the Universe. The apparently wandering trails swept out by the planets were later regularised by the work of Johannes Kepler and Tycho Brahe; an outstanding example of a simple idea explaining more complex observations. In general Mathematics has provided a framework for understanding the world around us; perhaps most elegantly (at least in work that is generally accessible to the non-professional) in Newton’s Laws of Motion (which explained why Kepler and Brahe’s models for planetary movement worked). The simple formulae employed by Newton seemed to offer a precise set of rules governing everything from the trajectory of an arrow to the orbits of the planets and indeed galaxies; a triumph for the application of Mathematics to the natural world and surely one of humankind’s greatest achievements. In my youth I studied Group Theory, a branch of mathematics concerned with patterns and symmetry. The historical roots (no pun intended) of Group Theory are in the solvability of polynomial equations, but the relation with symmetry emerged over time; revealing an important linkage between geometry and algebra. While Group Theory is a part of Pure Mathematics (supposedly studied for its own intrinsic worth, rather than any real-world applications), its applications are actually manifold. Just one example is that groups lie (again no pun intended) at the heart of the Standard Model of Particle Physics. However, two major challenges to this happy symbiosis between Mathematics and the Natural Sciences arose. One was an abrupt earthquake caused by Kurt Gödel in 1931. The other was more of a slowly rising flood, beginning in the 1880s with Henri Poincaré and (arguably) culminating with Ruelle, May and Yorke in 1977 (though with many other notables contributing both before and after 1977). The linkage between Mathematics and Science persists, but maybe some of the chains that form it have been weakened. However, rather than this article becoming a dissertation on incompleteness theorems or (the rather misleadingly named) chaos theory, I wanted to return to something more visceral that probably underpins at least the beginnings of the long association of Mathematics and Science. Here I refer to people’s general view that things tend to behave the same way as they have in the past. As mentioned at the beginning of this article, the sun comes up each morning, the moon waxes and wanes each month, summer becomes autumn (fall) becomes winter becomes spring and so on. When you knock your coffee cup over it reliably falls to the ground and the contents spill everywhere. These observations about genuine patterns have served us well over the centuries. It seems a very common human trait to look for patterns. Given the ubiquity of this, it is likely to have had some evolutionary benefit. Indeed patterns are often there and are often useful – there is indeed normally more traffic on the roads at 5pm on Fridays than on other days of the week. Government spending does (with the possible exception of current circumstances) generally go up in advance of an election. However such patterns may be less useful in other areas. While winter is generally colder than summer (in the Northern hemisphere), the average temperature and average rainfall in any given month varies a lot year-on-year. Nevertheless, even within this variability, we try to discern patterns to changes that occur in the weather. 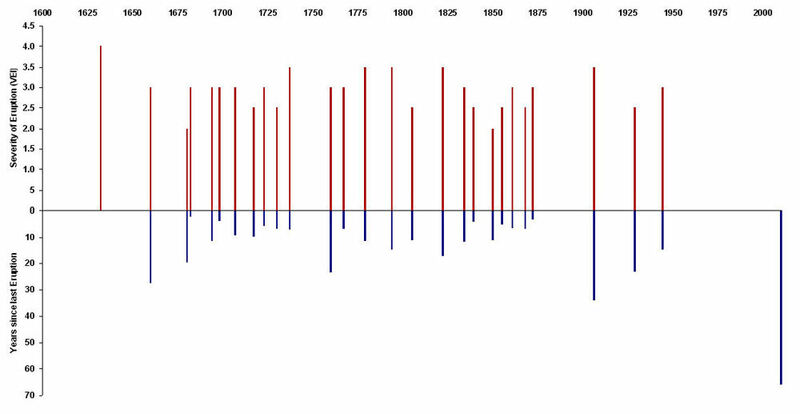 We may come to the conclusion that winters are less severe than when we were younger and thus impute a trend in gradually moderating winters; perhaps punctuated by some years that don’t fit what we assume is an underlying curve. We may take rolling averages to try to iron out local “noise” in various phenomena such as stock prices. This technique relies on the assumption that things change gradually. If the average July temperature has increased by 2°C in the last 100 years, then it maybe makes sense to assume that it will increase by the same 2°C ±0.2°C in the next 100 years. Some of the work I described earlier has rigorously proved that a lot of these human precepts are untrue in many important fields, not least weather prediction. The phrase long-term forecast has been 100% shown to be an oxymoron. Many systems – even the simplest, even those which are apparently stable – can change rapidly and unpredictably and weather is one of them. For the avoidance of doubt I am not leaping into the general Climate Change debate here – except in the most general sense. Instead I am highlighting the often erroneous human tendency to believe that when things change they do so smoothly and predictably. That when a pattern shifts, it does so to something quite like the previous pattern. While this assumed smoothness is at the foundation of many of our most powerful models and techniques (for example the grand edifice of The Calculus), in many circumstances it is not a good fit for the choppiness seen in nature. Last time Eyjafjallajokull erupted, from late 1821 to early 1823, it also had quite viscous lava. But that does not mean it produced fine ash continuously all the time. The activity settled into a pattern of flaring up every now and then before dying back down to a grumble. If this eruption continues for a similar length of time, it would seem fair to expect something similar. Previous eruptions of Eyjafjallajokull seem to have acted as harbingers of a subsequent Katla [a nearby volcano] eruptions. [However] Only two or three […] of the 23 eruptions of Katla over historical times (which in Iceland means the past 1,200 years or so) have been preceded by eruptions of Eyjafjallajokull. Katla does seem to erupt on a semi-regular basis, with typical periods between eruptions of between 30 and 80 years. The last eruption was in 1918, which makes the next overdue. To be fair, The Economist did lace their piece with various caveats, for example the above-quoted “it would seem fair to expect”, but not all publications are so scrupulous. There is perhaps something comforting in all this numerology, maybe it gives us the illusion that we can make meaningful predictions about what a volcano will do next. Modern geologists have used a number of techniques to warn of imminent eruptions and these approaches have been successful and saved lives. However this is not the same thing as predicting that an eruption is likely in the next ten years solely because they normally occur every century and it is 90 years since the last one. Long-term forecasts of volcanic activity are as chimerical as long-term weather forecasts. Looking at another famous volcano, Vesuvius, I have put together the following simple chart. The average period between eruptions is just shy of 14 years, but the pattern is anything but regular. If we expand our range a bit, we might ask how many eruptions occurred between 10 and 20 years after the previous one. The answer is just 9 of the 26, or about 35%. Even if we expand our range to periods of calm lasting between 5 and 25 years (so 10 years of leeway on either side), we only capture 77% of eruptions. The standard deviation of the periods between recorded eruptions is a whopping 12.5; eruptions of Vesuvius are not regular events. One aspect of truly random distributions at first seems counterfactual, this is their lumpiness. It might seem reasonable to assume that a random set of events would lead to a nicely spaced out distribution; maybe not a set of evenly-spaced points, but a close approximation to one. In fact the opposite is generally true; random distributions will have clusters of events close to each other and large gaps between them. The above exhibit (a non-wrapped version of which may be viewed by clicking on it) illustrates this point. It compares a set of pseudo-random numbers (the upper points) with a set of truly random numbers (the lower points). There are some gaps in the upper distribution, but none are large and the spread is pretty even. By contrast in the lower set there are many large gaps (some of the more major ones being tagged a, … ,h) and significant clumping. Which of these two distributions more closely matches the eruptions of Vesuvius? 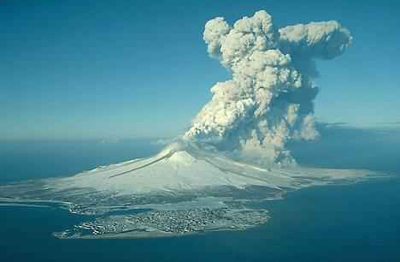 What does this tell us about the predictability of its eruptions? As always in closing I will bring these discussions back to a business focus. The above observations should give people involved in applying statistical techniques to make predictions about the future some pause for thought. Here I am not targeting the professional statistician; I assume such people will be more than aware of potential pitfalls and possess much greater depth of knowledge than myself about how to avoid them. However many users of numbers will not have this background and we are all genetically programmed to seek patterns, even where none may exist. Predictive analytics is a very useful tool when applied correctly and when its findings are presented as a potential range of outcomes, complete with associated probabilities. Unfortunately this is not always the case. It is worth noting that many business events can be just as unpredictable as volcanic eruptions. Trying to foresee the future with too much precision is going to lead to disappointment; to say nothing of being engulfed by lava flows. The solvability of polynomials is of course equivalent to whether or not roots of them exist. Indeed it has been argued that non-linear systems are more robust in response to external stimuli than classical ones. The latter tend to respond to “jolts” in a smooth manner leading to a change in state. The former often will revert to their previous strange attractor. It has been postulated that evolution has taken advantage of this fact in demonstrably chaotic systems such as the human heart. Here I include the – to date – 66 years since Vesuvius’ last eruption in 1944 and exclude the eruption in 1631 as there is no record of the preceding one. For anyone interested, the upper set of numbers were generated using Excel’s RAND() function and the lower are successive triplets of the decimal expansion of pi, e.g. 141, 592, 653 etc. Again for those interested the average gap in the upper set is 10.1 with a standard deviation of 4.3; the figures for the lower set are 9.7 and 9.6 respectively.